I just started playing it and this tune came, ‘cuz that’s what happens. They just, sort of– they COME, you know. It just came and I couldn’t think of any words to it, so originally it was just, ‘Scrambled Egg.’ It was called ‘Scrambled Egg’ for a couple of months, until I thought of ‘Yesterday.’ And that’s it. True story. ‘Yesterday’ is Paul completely on his own, really. We just helped finishing off the ribbons ’round it, you know — tying it up. 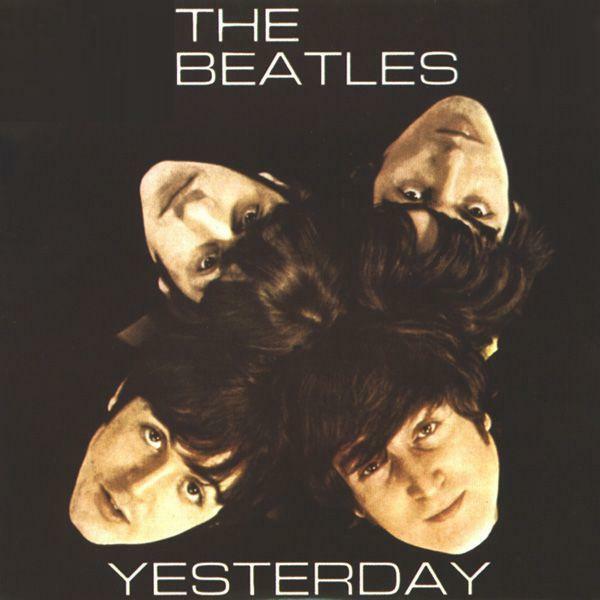 “Yesterday“was originally recorded by the Beatles for their 1965 album Help!. Although credited to “Lennon–McCartney”, the song was written solely by Paul McCartney. At the time of its first appearance, the song was released by the Beatles’ record company as a single in the United States but not in the United Kingdom (for further details see below). Consequently, whilst it topped the American chart in 1965 the song first hit the British top 10 three months after the release of Help! in a cover version by Matt Monro. 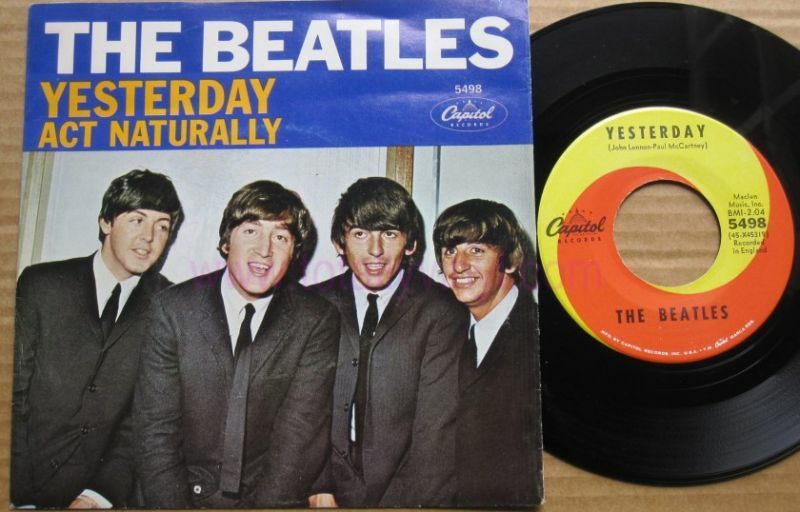 “Yesterday” was voted the best song of the 20th century in a 1999 BBC Radio 2 poll of music experts and listeners and was also voted the No. 1 Pop song of all time by MTV and Rolling Stone magazine the following year. In 1997, the song was inducted into the Grammy Hall of Fame. Broadcast Music Incorporated (BMI) asserts that it was performed over seven million times in the 20th century alone. Song by the Beatles from the album Help! With its yearning suspended ninths, rapid harmonic movement, and irregular phrase-lengths. YESTERDAY has been analysed more closely than any other Beatles composition. Its significance, so far as the group was concerned, lay less in the song’s musical attributes than in George Martin’s disclosure to them of an hitherto unsuspected world of classical instrumental colour. Restrained by the demands of touring, they paused a year before putting this discovery to full use. I know that only Paul is on “Blackbird” and only John on “Julia.” George’s vocal is added to a raga recorded in India on “The Inner Light”; I’m not sure if there are any other Beatles singing background vocals. “Within You, Without You” is a similar type of track. Likewise “Eleanor Rigby” features Paul’s vocal added to a string quartet backing, but John or George may be singing back up. As stated here, this record is the first Beatles record to only feature one member of the band, can somebody please tell me wich are the others? I’ve read that the Beatles, Brian Epstein, and George Martin actually discussed releasing “Yesterday” as a Paul McCartney solo single, and that Epstein vetoed the idea over concerns for group unity.